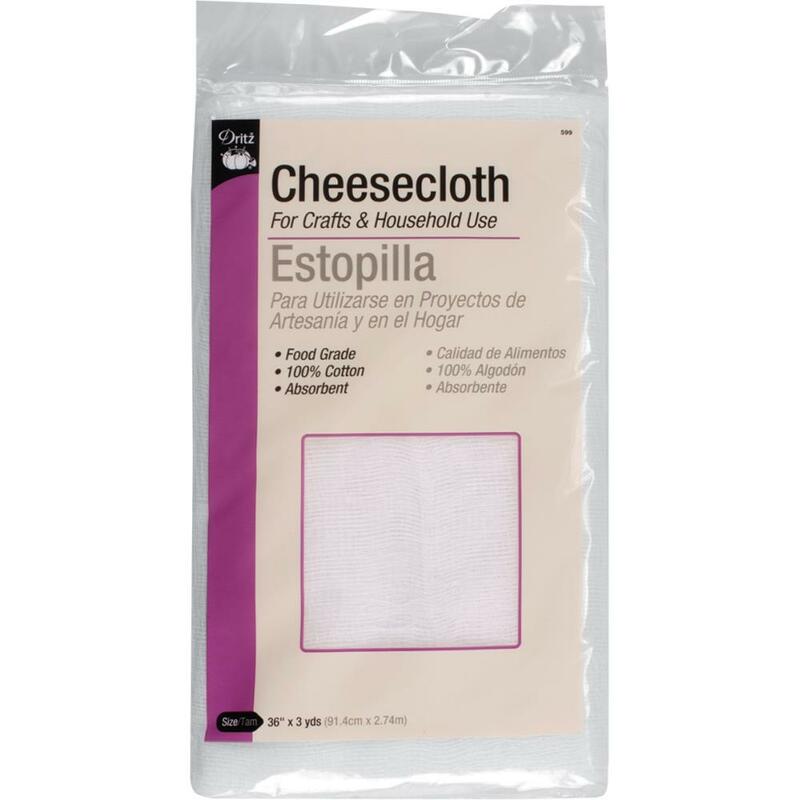 DRITZ-Cheese Cloth is 100% bleached cotton with hundreds of uses. Ideal for craft, culinary, and household uses. Absorbent and re-useable. Use to wax, polish, and refinish furniture, wax and detail autos, use in cooking, baking and canning, for crafts, and painting and staining. Size: 36" by 3 yards.